A biannual compendium of the most-impressive work featured on It’s Nice That, Printed Pages is edited and designed by the It’s Nice That Magazine team in celebration of print. The latest autumn/winter 2018 issue is a curated selection of the finest creative efforts from the past six months, while also delving into the Bauhaus archives a century after the school was established, concurrent to Pentagram’s rebrand of the Bauhaus Archiv. The cover, and a Bauhaus-inspired poster inside, are designed by Sascha Lobe (a partner at Pentagram) and honors the pioneering heritage that the Bauhaus maintained throughout its 14-year existence, which continues to this day. 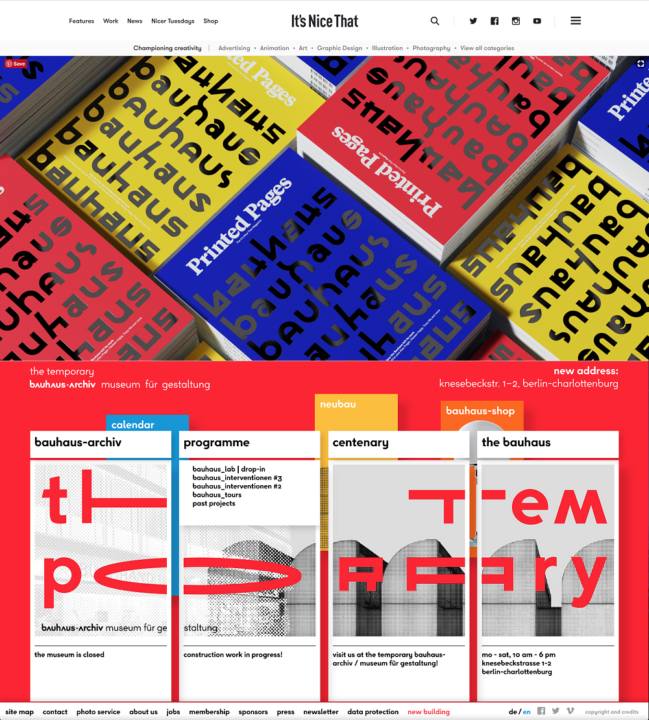 This issue has three covers signified by three colours, updated from the original Bauhaus branding colours (the primaries blue, red, and yellow). Featured on this cover are 42 of the 600 glyphs from Pentagram’s new identity system for the Bauhaus Archiv. Also inside are a print by photographer KangHee Kim, five postcards using featured work, and an It’s Nice That sticker. Cape Town-based artist and designer, Hanno van Zyl, has had a busy year completing at least three publications with his name listed as designer. Of note is Wat Binne Is (“that which is inside”), which is the result of a longstanding collaborative project between photographer Wikus de Wet and Jaco van der Merwe, who wrote Afrikaans prose in response to the images about contemporary Afrikanerdom. The content of the publication is subversive, to say the least, balanced by its succinct layout and overall design aesthetic. As an independently produced book, the printing costs needed to be crowdfunded, and was made possible after a successful Thundafund campaign. In-between De Wet’s photographs and Van der Merwe’s lines of prose lies uncharted territory, blind spots that shine new light on the uncomfortable scars of SA’s complicated history. This history remains the matrix for the present, and we continue to see ourselves in uncomfortable times. 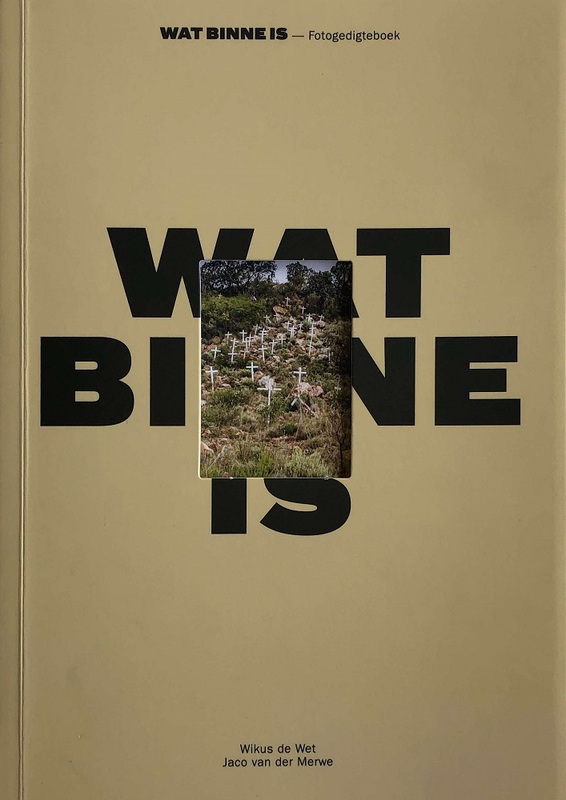 It’s a matrix further communicated through Van Zyl’s impressive editorial design skills, making the book a calendar of sorts, where our destructive past blends into the promise of a thunderstorm on the horizon. Due to long-standing racial prejudices. the ability to simply exist remains a luxury for many black people in America today. Continually stopped by roadside law enforcement and with ever-present disturbances in historic African American communities, black people in the US have had to and still continue to go to extremes to claim their civil rights and equality. This situation is obviously not new, and in response HuffPost has created a microsite featuring shared experiences from black readers who’ve been exposed to racial discrimination. Detailing the angst of continually having their existence interrogated, this site is a tiny compilation of countless similar stories that stress the social injustices that black people must live through every day in America. HuffPost updates this site with new stories regularly, keeping readers aware of the plight of many black people in the US today. 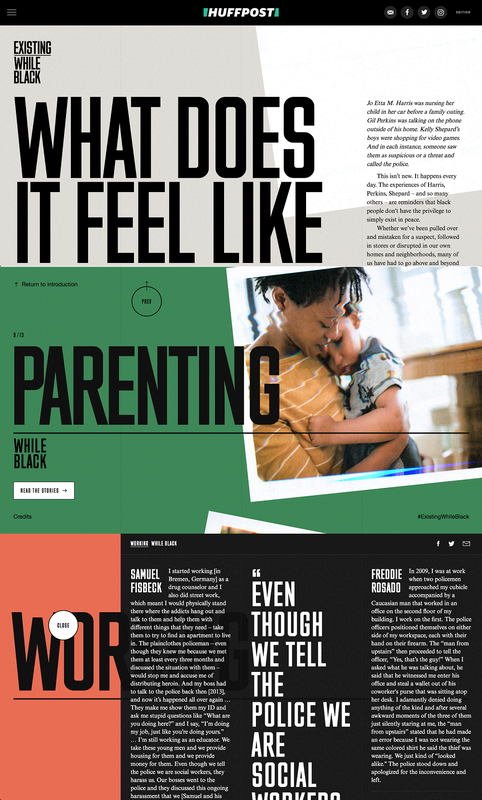 Aside from its moving testimonials, the microsite is incredibly well designed, with intuitive layout and navigational elements, an interactive and dynamic layout, and with choice typography and excellent art direction. 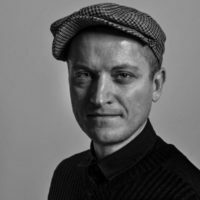 It highlights how design can be a powerful tool for change, and that sites of this calibre don’t have to look like a government report from the mid ’90s. A popular periodical based in Munich, particularly during the inter-world war period, Simplicissimus was a German satirical weekly that actively presented a strong-democratic, anti-authoritarian front towards both the extreme left and right, particularly towards the German Weimar Republic (where the Bauhaus, mentioned earlier, ironically found its roots). Founded in 1896, the magazine got its name from the 1668 picaresque novel by Hans Jakob Christoffel von Grimmelshausen, titled “Simplicius Simplicissimus” (“Der Abenteuerliche Simplicissimus Teutsch” in German). It quickly became a forum for controversial socioeconomic and historico-political subject matter, garnering a following for its subversive content and brash graphic presentation, supported by illustration and other avant-garde visuals. Supported by prominent avant-garde circles and intended to be a culturally focused, literary oriented periodical, the magazine’s list of contributors — including writers, artists, illustrators and the like — was a veritable checklist of important cultural exponents for the time, including: Hermann Hesse, Robert Walser, Heinrich Mann, Bruno Paul, Rudolf Wilke, George Grosz, Käthe Kollwitz, Jeanne Mammen and John Heartfield, to name a few. Its special brand of audacious political content, mixed with a bold graphic style typical of early modernism, has placed it on the cultural map to this very day. Simplicissimus suppressed its satirical tone when Germany entered World War I, in support of the war effort. Afterwards, the magazine’s editors were in a difficult position, particularly regarding issues related to the Weimar Republic. Based on this history, the title’s mission later became a resistance against the emergence of National Socialism and anti-Semitism, which would come to fruition with the Nazi Party. The magazine was muzzled in 1933 by the Nazis and, with the onset of World War II, it had to adopt a slanted foreign and domestic perspective. The editor at the time, Thomas Theodor Heine, was Jewish and had to flee into exile. Truth became an alternative fact and its representation of what was happening in Germany at the time became distorted. By September 1944, Simplicissimus had to close its doors, oddly due to severe paper shortages caused by the war, returning from obscurity a decade later in 1954. It continued publishing, slowly degrading in form and quality, until it eventually shut 1967.